Join America’s #1 Vocal Trainer in a Complete “How to Sing” Course. If you’ve ever been told you can’t even carry a tune—think again. 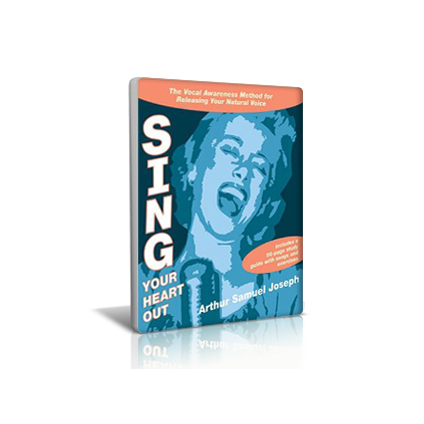 On Sing Your Heart Out, vocal coach and master teacher Arthur Joseph shows you how to discover your authentic singing voice through self-discovery exercises that are simple to practice and profoundly effective. For over 45 years, Joseph’s methods have helped thousands of students find their natural vocal talents—quickly and naturally. From the sound stages of Hollywood to everyday neighborhoods, from the halls of Yale to corporate boardrooms, his methods have transformed voices yearning to be heard into living instruments rich with life, love, and power. On Sing Your Heart Out, you will learn Joseph’s groundbreaking system—which integrates spiritual principles for self-awareness with his secrets for using your mind and body to sing powerfully and easily. While you learn along with original exercises and delightful songs, Joseph offers gentle guidance with the ease of the expert who has helped ordinary people develop extraordinary confidence in their vocal gifts. Sing Your Heart Out comes complete with a 56-page illustrated study guide including songs, checklists, and exercises.